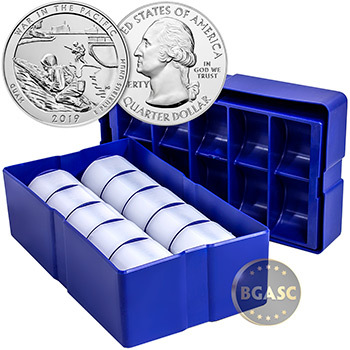 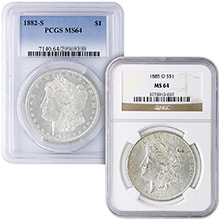 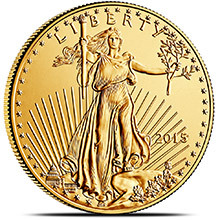 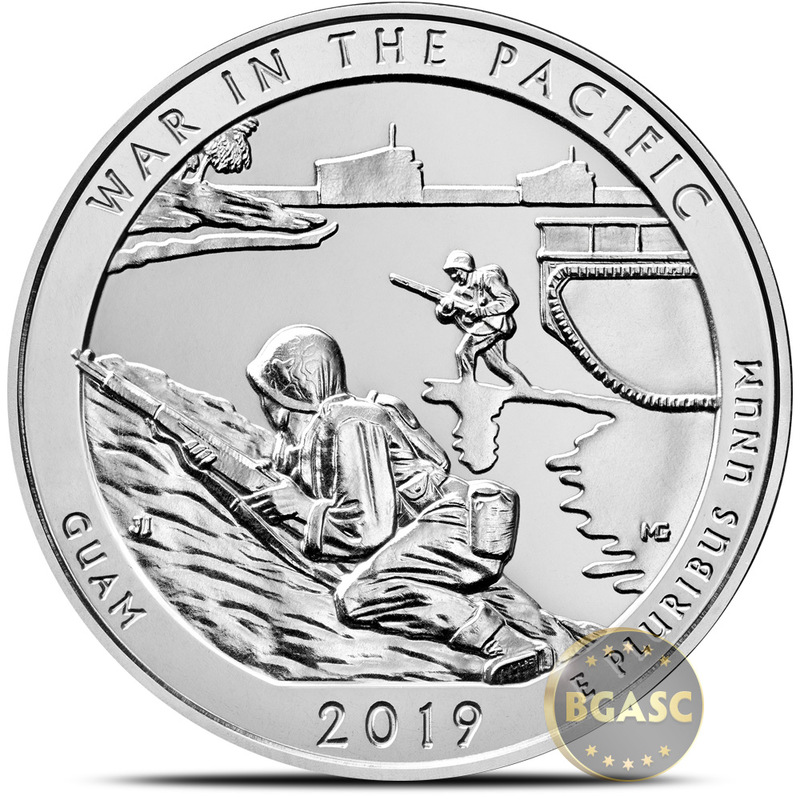 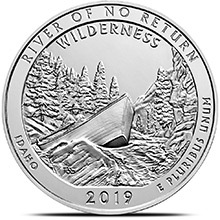 This Brilliant Uncirculated 2019 War In The Pacific National Historical Park Guam 5 oz Silver America The Beautiful .999 Fine Bullion Coin is the third of 2019 and the 48th overall in the America the Beautiful Coins Program. 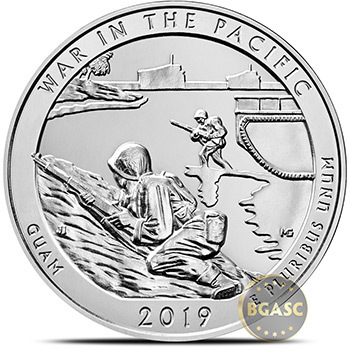 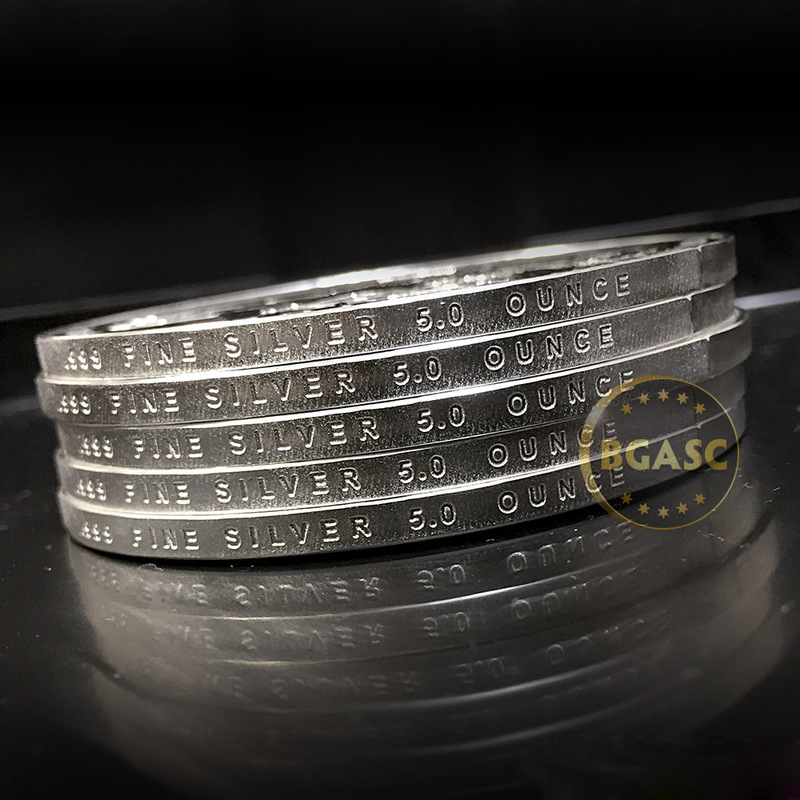 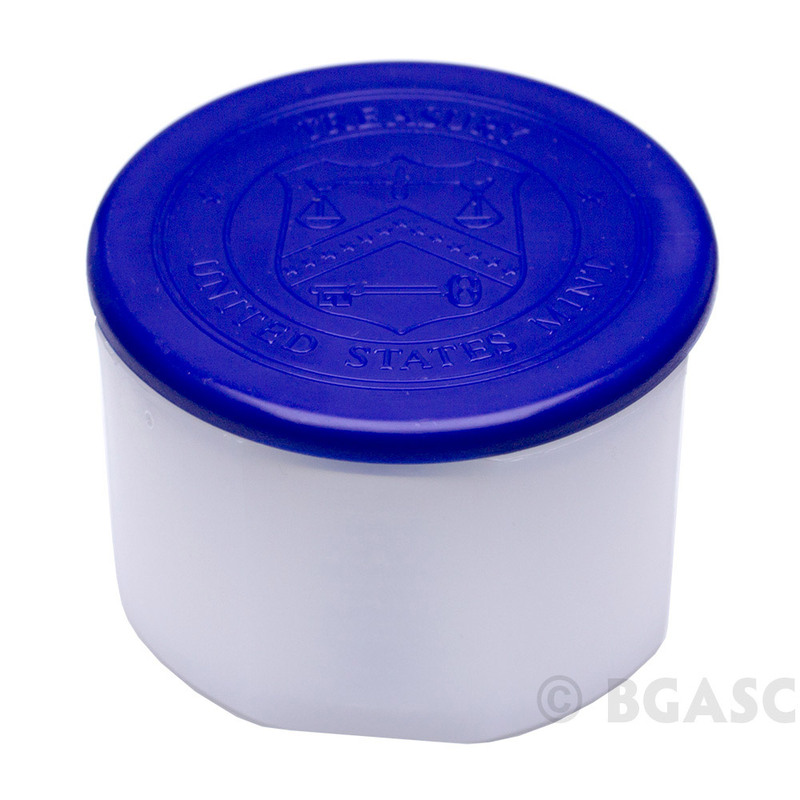 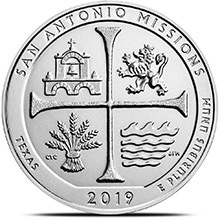 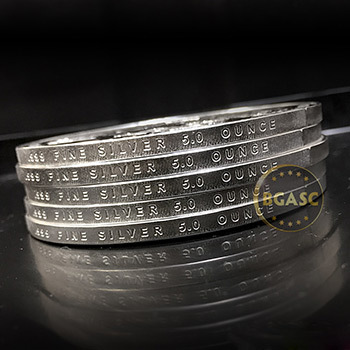 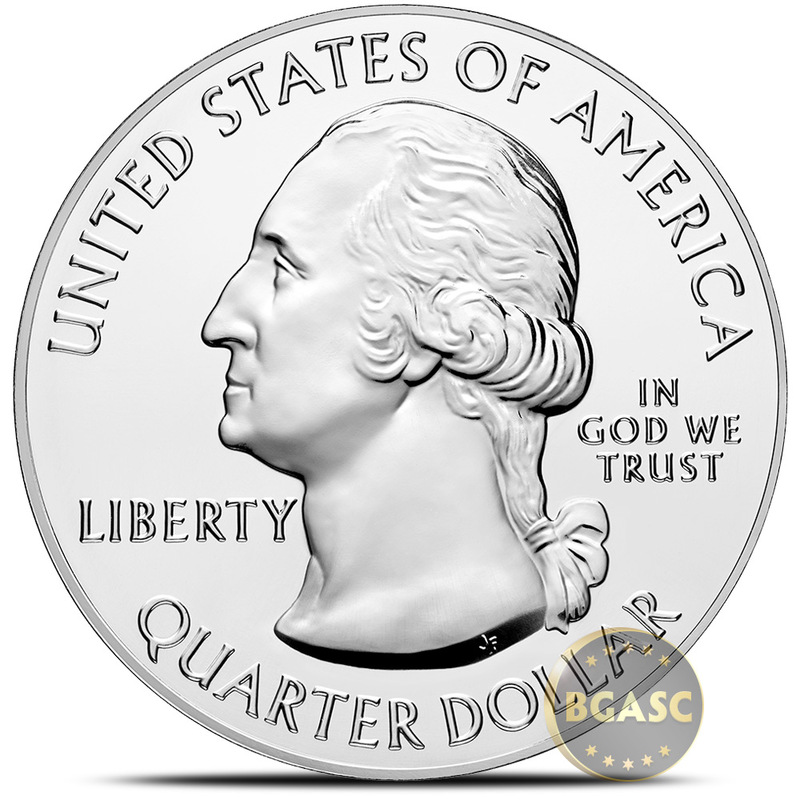 The reverse design of this silver bullion coin depicts American forces coming ashore at Asan Bay, strengthening the number of troops on the island in the fight for Guam and its eventual liberation. Design candidates were developed in consultation with representatives of War in the Pacific National Historical Park. 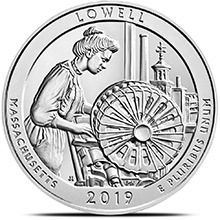 Inscriptions are "WAR IN THE PACIFIC," "GUAM," "2019," and "E PLURIBUS UNUM." 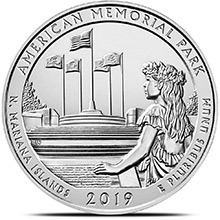 The westernmost park of all the National Park Service sites, Guam's War in the Pacific National Historical Park honors the bravery, courage, and sacrifice of those participating in the campaigns of the Pacific Theater during World War II. 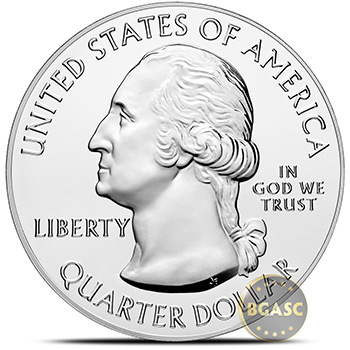 The park also conserves and interprets a variety of amazing resources found on the Island of Guam. 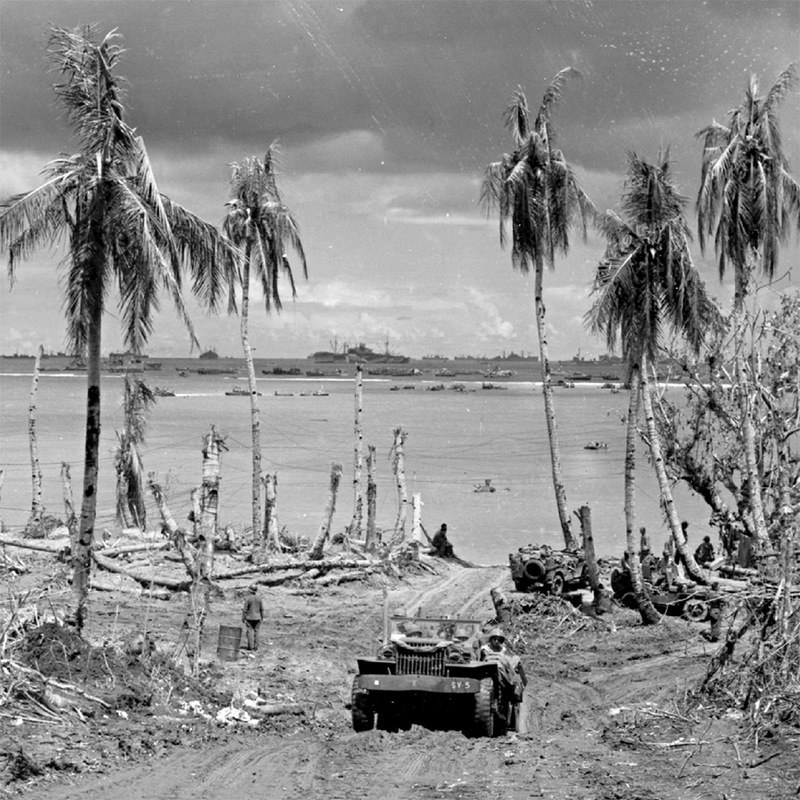 War in the Pacific National Historical Park has the highest biological diversity of any national park, with both underwater and land areas.